Although your non-profit organization may not be required to offer health insurance to your employees, it’s a great way to show your appreciation, attract highly skilled applicants, lower employee turnover, and keep your employees healthy and happy. Group non-profit insurance policies give your organization complete control of the cost and design of the benefit. Depending on your organization’s operating budget and workforce, decide whether group health benefits will be available to employees and dependents or employees only. You should also develop eligibility criteria that encourages employee retention, such as a waiting period for new hires or eligibility based on hours worked. It is also important that you purchase group health insurance from an insurance provider that specializes in non-profit insurance policies. 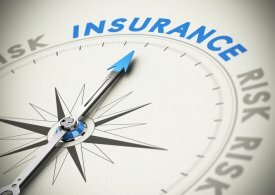 Non-profit insurance providers in New York City understand the unique demands and constraints faced by non-profit organizations, which means you will be offered only the policies you absolutely need.